THIS WEEKEND, IF YOU’RE IN NORTHFIELD, you’d swear you were in Texas or Wyoming or Montana. This southeastern Minnesota community of about 20,000 transforms into a hang-out for cowboys and cowgirls during The Defeat of Jesse James Days, which runs through Sunday. From a professional rodeo to a western style steak fry, a theatrical performance of Jesse, bank raid re-enactments and lots more, a western theme prevails. And it’s all to mark the townspeople’s courageous stand 134 years ago against the James-Younger Gang. On September 7, 1876, the outlaws rode into town intent on robbing the First National Bank. They didn’t expect to find a defiant Joseph Lee Heywood, who refused to open the bank vault. Heywood was killed as were Swedish immigrant Nicolaus Gustafson and two of the would-be robbers. The restored First National Bank, pictured here, is now home to a museum and the Northfield Historical Society. 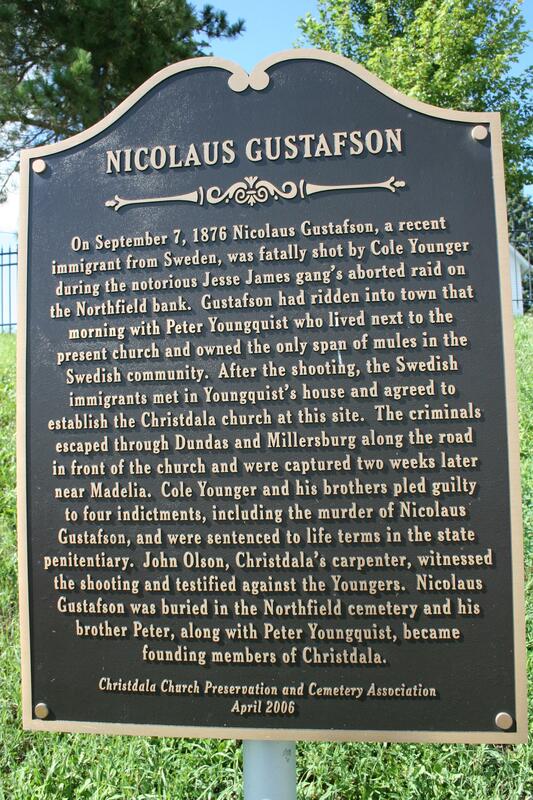 A marker at Christdala Swedish Lutheran Church near Millersburg honors Swedish immigrant Nicolaus Gustafson who was shot point blank by outlaw Cole Younger. The church marker tells Gustafson's tragic story. 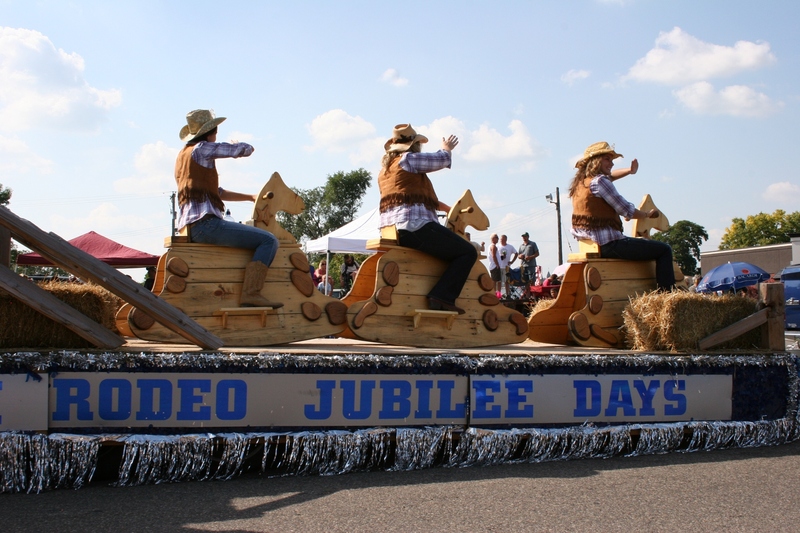 Since 1948, Northfield has celebrated The Defeat of Jesse James Days, today one of Minnesota’s biggest community festivals. If you’ve never attended, saddle up this weekend and head on out to this historic river town that, as cliché as it sounds, is quaint and charming. 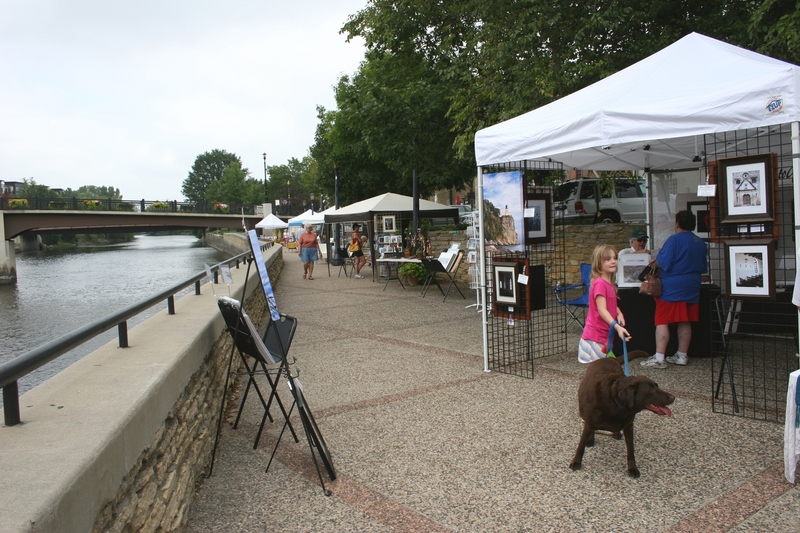 Here, a river walk hugs the Cannon River, inviting visitors to stroll and peruse the artwork set up during the Riverfront Fine Arts Fair Festival this weekend or, on other Saturdays from early June to the end of October, the 9 a.m. – 1 p.m. Riverwalk Market Fair. The Market Fair also includes local produce and artisan foods. 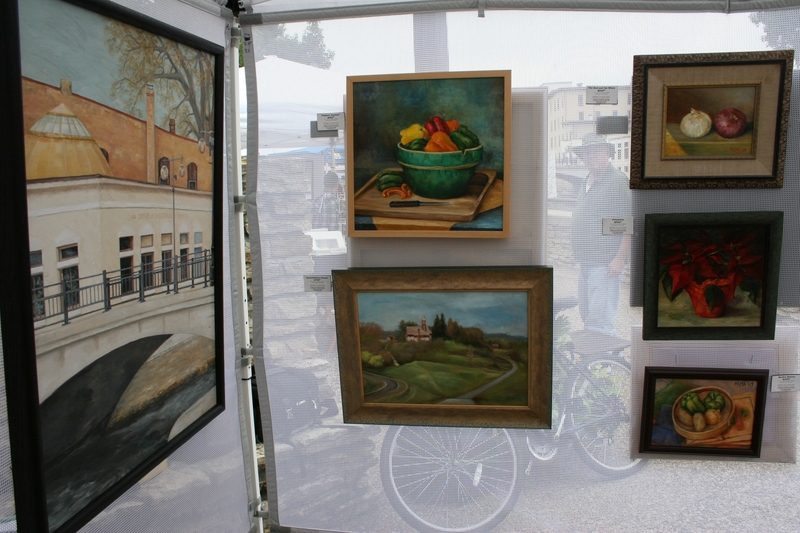 This weekend's art fair will be similar to the Saturday Riverwalk Market Fair held from June through October along Northfield's riverwalk in the historic downtown. Marsha Kolstad Morrill Kitchel displayed her artwork on a recent Saturday during the Riverwalk Market Fair. 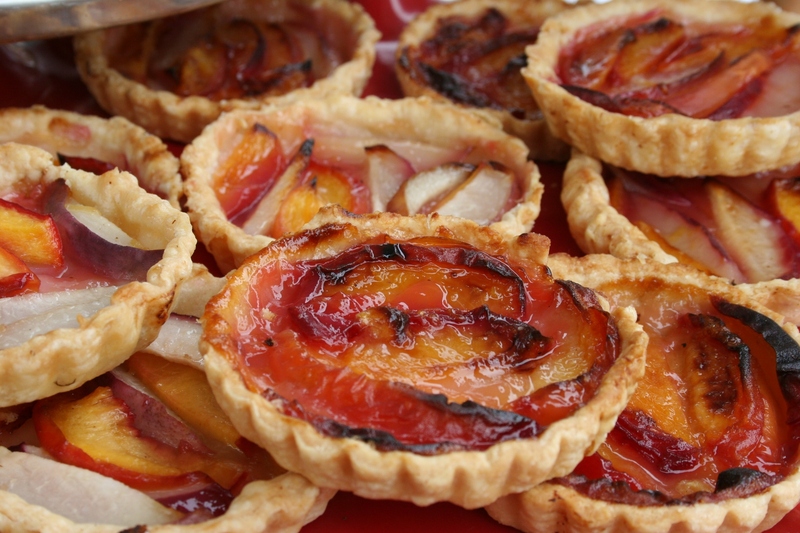 A vendor sold fresh-baked fruit tarts at a riverside stand during the summer Saturday market. 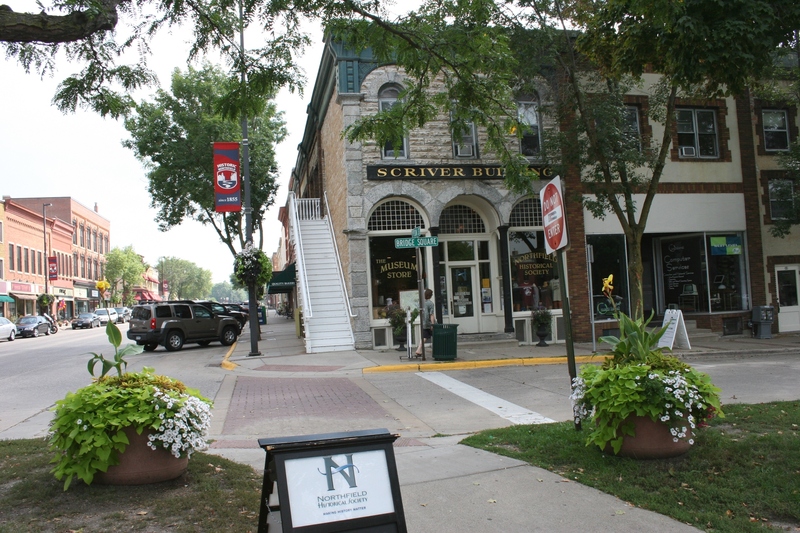 Northfield’s abundance of eateries (some with outdoor riverside dining) and homegrown shops with everything from beads to antiques, books, local art and much more, draws visitors into a historic downtown that bustles with activity, but in a leisurely sort of way. Be forewarned, though, that during The Defeat of Jesse James Days, this town is a zoo. Yet, Northfield is a pedestrian-friendly city where motorists actually yield to pedestrians, where a town square complete with fountain and popcorn wagon and summer concerts seems so “Norman Rockwell,” where the river walkway links a downtown defined by old buildings, where, honestly, you’ll feel comfortably at home. 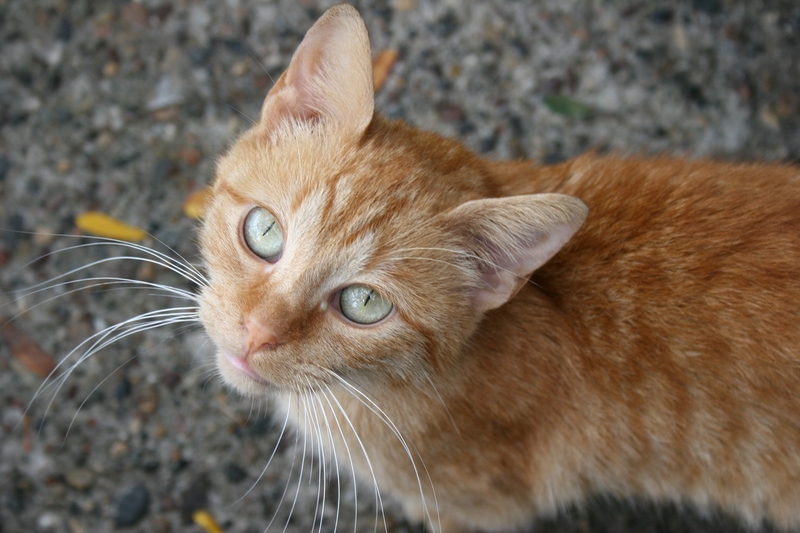 This stray kitten showed up while I was dining recently on the patio of The Tavern, a downtown Northfield eatery. Last year when I attended The Defeat of Jesse James Days Sunday afternoon Grand Parade, I spotted more cowboy hats and cowboy boots than I’ve ever seen in a single locale. 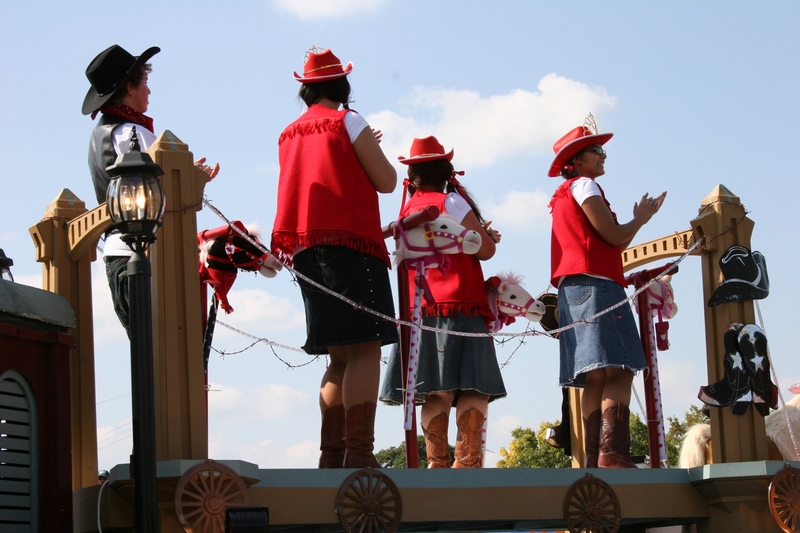 On nearly every community float, even those from the big city, princesses replaced sparkling strapless gowns and crowns with western shirts, vests and jeans (or denim skirts) and cowgirl hats. Western attire is protocol for princesses in the Grand Parade, which starts at 2 p.m. on Sunday. The princesses bring their horses too when they appear in the parade. They also brought their horses—plush pink ponies, wooden rocking horses, stick horses…with a few twirling lassoes and country western music to boot. Well, you get the picture. 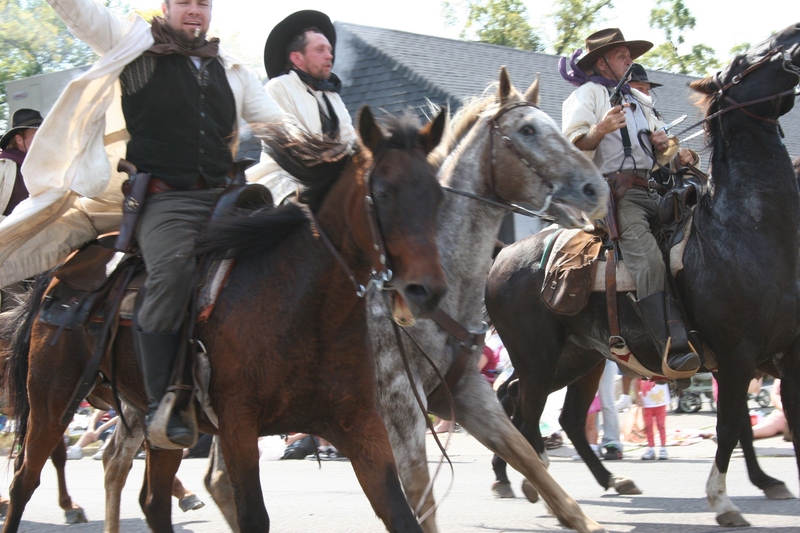 Even the James-Younger Gang showed up with their guns ablazin’ as their horses galloped down Division Street. Locals dress the parts of the James-Younger Gang for the Grand Parade and bank raid re-enactments, held through-out the weekend. Arrive early if you want to see the downtown shoot-outs. Despite all that horse and outlaw hoopla, the parade presents one particularly memorable oddity. Northfield-based Malt-O-Meal gives away individual serving packages of dry cereal to parade-attendees. I’ve received only one better parade freebie in my lifetime. Many years ago in Morrill in central Minnesota, a local bar handed out free cups of beer, which flowed freely from a parade float keg. Now that’s a parade even an outlaw could appreciate.